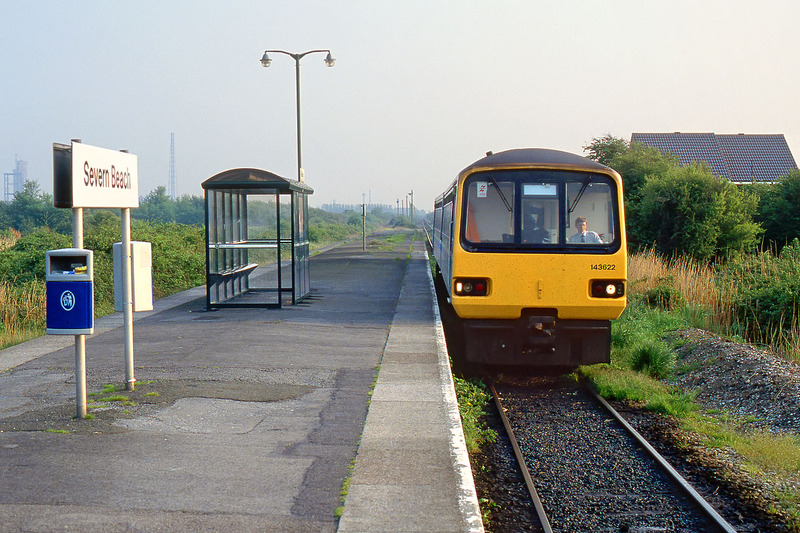 143622 arrives at the desolate former island platform at Severn Beach station on 29 April 1993 with the 18:02 service from Weston-super-Mare. Severn Beach was formerly a through station, with the line continuing on to join the Great Western Mainline at Pilning, after first crossing over the eastern portal of the Severn Tunnel. Through services to Pilning ended in 1964, with the line being removed several years later. Since then Severn Beach has been a terminus, although with all the station buildings demolished, this view shows the entire rail facilities!